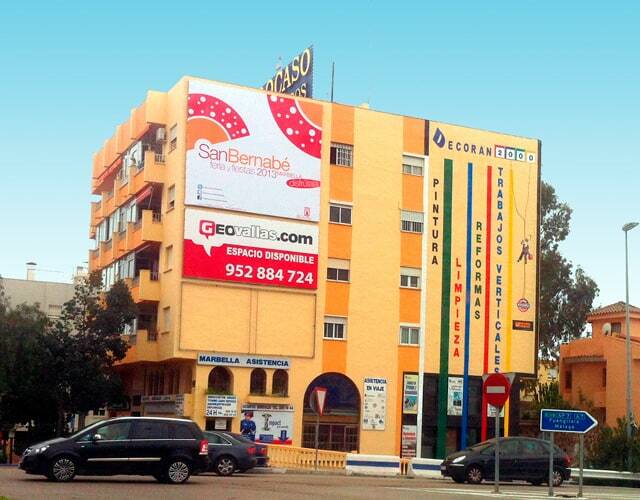 Spectacular Advertising Canvas very close to La Cañada for the Marbella Town Hall to mark the Feria de San Bernabé 2013. The advertising canvas to cover buildings are one of the most effective media in the world of outdoor advertising. The outer sheeting used have suitable perforations for high wind resistance. The graphics of these ads are excellent prints in high quality and long lasting.